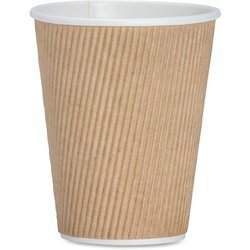 Prominent & Leading Exporter from Mumbai, we offer disposable cups, paper cups, thick wall paper cups, coffee paper cups, ripple paper cups and ripple cups. Well-known in the industry as a supplier, exporter, and wholesaler, we are engaged in offering our customers with Paper Cups. 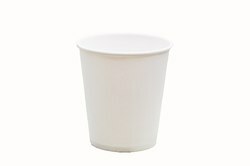 To obtain these paper cups, we are associated with the authentic vendors of the industry who develop the same in different sizes and capacities. 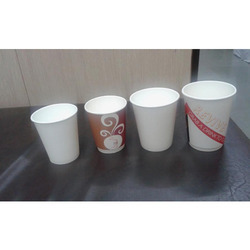 Moreover, to attain maximum satisfaction of our esteemed clients, we provide customization facility for the paper cup. Fulfilling the demands of clients as a supplier, exporter and wholesaler, we are engrossed in offering Thick Wall Paper Cups. Our offered paper cups are provided to customers in different, designs and capacities at industry leading prices to attain their maximum contentment. 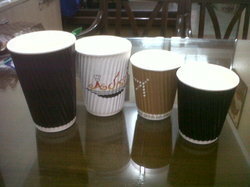 Moreover, these paper cups are checked on different parameters by our quality controllers to ensure flawlessness. 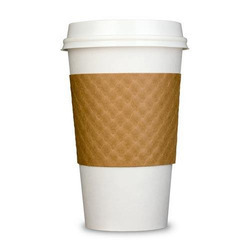 Our organization is engaged in supplying, exporting and wholesaling Coffee Paper Cups. Obtained from the authorized vendors of the market, our offered coffee cups are manufactured using the quality-approved raw material. Besides, we also provide these coffee cups in various sizes, designs, and textures to meet the requirements of customers. 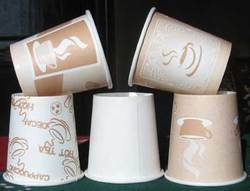 Involved in supplying, exporting and wholesaling, we are engrossed in offering our customers with Ripple Paper Cups. Our offered cups are designed with perfection in adherence to the international quality standards. Offering at industry leading prices, these cups are provided in various sizes, capacities, and colors. The Ripple Cups are popular cups used for hot takeaway drinks as the design and insulation help keep the drink warmed up to 15% longer than other disposable paper cups and the double walled ripple cup means you can quite comfortably hold the coffee or tea without burning. Attained respectable position as a supplier, exporter and wholesaler, we are engrossed in providing our clients with Tea Paper Cups. Ideal to serve tea in parties and other occasions, these paper cups are obtained from the authentic vendors of the market. Post-procurement, these paper cups are checked twice before dispatching at the customers' end to ensure zero-defects. 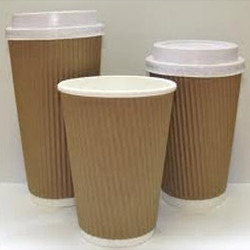 Ever since our establishment, we have been successfully supplying, exporting and wholesaling Corrugated Paper Cups. 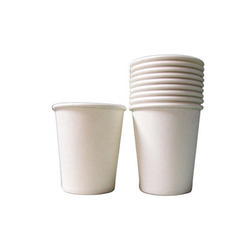 By making use of optimum-grade raw material and basic inputs, these cups are manufactured by our vendors to attain highest benchmarks of quality. Moreover, we are supported by a spacious warehouse facility, which enables us to store these products accordingly. 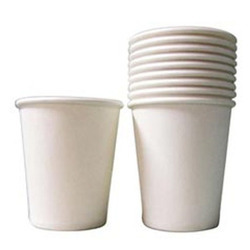 Leveraging on our vast vendor-base, we have been able to supply, export and wholesale White Paper Cups.Our vendors are facilitated with the modern production facility, which ensures proper manufacturing of these products without any scope for defects. Further, to eliminate every possibility of defects, these glasses are checked by us various parameters. We are offering Coffee Cups to our clients. Colors Available Red, Brown, Golden etc. We are offering Muffin Cups to our clients.